As the planet’s aura, our collective computer mind bank, gives up its hell, so to speak, then there will only be positive soul force in our space. The world will be only of joy and spiritual truth. Over a million people at a time will visit Spirit God’s great city, the New Jerusalem, when it comes into orbit about our planet, inspiring everyone to get their consciousness into ultimate-unlimited mind clairvoyance (Revelation 21:1-5 and St. Matthew 24:30-31). We are not to wait for this colossal event to happen. It will happen automatically when the vibrations are high enough to deliver the most souls. When it comes, then all things are finalized. ETI contact ends the satanic power by acting to fission it out of space as the New Jerusalem enters into the planet’s aura. The nuclear weapons and waste will be taken up by spaceships and exploded harmlessly in the lower astral plane, which is the repository of satanic power in the form of anti-matter. This contact of atomic matter and anti-matter neutralizes all satanic power, which will no longer exist to animate the people. Plus, in one clean move the planet is disarmed of all nuclear weapons. This demonstration will all be explained in advance to the people. It will cause the immediate disarmament of all armies on the planet. Peace will reign at last – real peace, based on holding all things common. Gabriel began to fully awaken to his channel while on healing retreats at Stewart Mineral Springs near Mount Shasta with the Clarity Breathwork community. It was 60 years after Allen Michael‘s Cosmic Initiation, 40 years after the birth of the One World Family Commune, and 20 years after the Harmonic Convergence. Gabriel was contacted on Mount Shasta by an Angelic ETI being revealed in the form of an angelic cloud. He has since been called thru dreams and revelations, and has answered by establishing his Ministry. This entry was posted in Weblog Entries. Bookmark the permalink. This is the Truth that sets us free. - US degenerates as bankruptcy and collapse are now mathematical certainty. - Mar 29 Brexit made City of London no longer the finance capital of the cabal. - military veterans withdrew from Trump presidency as of Jan 1. - US gov shut down for 35 days, even as military stayed fully financed. - when gov reopened, Trump had filled cabinet with raging Zionist neocons. - they managed to keep operations going by stealing American peoples’ tax refunds and hiking gas prices; this gave debt-addicted DC another sugar high, but it has begun to kill economic recovery. - Trump trying to convince everybody great events happening, saying 'Saudi Arabia will buy $450 billion worth of weapons' or 'China will buy $1 trillion worth of goods from US,' but Saudi Arabia only agreed to buy $14.5 billion of US exports; and, even if China agreed to buy $1 trillion worth of overpriced US goods, the US economy does not have capacity to create these goods. - China seriously thinking of declaring DC bankrupt. - arrest in Spain of former Venezuelan Military Intel Chief Carvajal has made military even more loyal to Maduro, as neocon coup failed royally, meaning world’s largest oil reserves remain outside of cabal petrodollar system. - Kissinger trying desperately and futilely to save DC establishment and petrodollar system by cashing bonds worth 'quadrillions of dollars' but these bonds will never be cashed. - instead the Quantum Financial System (QFS) is being implemented. - Japan’s financial markets will be closed between Apr 27 and May 6, the longest financial market and bank closure since end of WW2; it’s good bet transition will be implemented then. - QFS has origins in 'War College Power Transition Theory used in liberation of Great Britain with pinpoint accuracy. - Brexit not about Europe or UK alone, but is huge satanic game with senior members of Parliament being threatened if they leave the Club of Rome; things trying to shift, but Old Guard will literally eat them alive should they try to escape. - world’s armed forces and their intelligence arms using QFS power transition model to create global alliance of sovereign nation-states to replace collapsing New World Order. - this alliance would also back creation of global force such as World Future Planning Agency. - this source, a senior member of traditional 13 ruling bloodlines, was one of key planners behind military counterintelligence operation central to recent liberation of Great Britain. - operation was triggered by whistleblowing by this source when he worked on Sovereign Debt Markets at Italian and Vatican desk, Barclays Bank; this whistleblowing led to LIBOR rate-rigging scandal. - summary of importance of this scandal: 'manipulation of rates using chat forum on Bloomberg became largest-ever complex financial fraud in history and has bankrupted entire industry and totally altered trajectory of geo-politics, both overt and covert. - he now says BIS, IMF and World Bank will be removed entirely because they've fundamentally failed humanity and committed very serious crimes against it. - Khazarian mafia likely stole election in Israel to keep Netanyahu in power; to distract from this fraud they staged series of fake news events, including staged Israeli moon landing, a fake 'first image of a black hole' that was widely derided as soon as it was put out. - then they staged the so-called arrest of Assange; all video and images came from single source, RT, which is telltale sign of computer graphic fake; note that Assange did not appear once on his balcony after he was visited in 2016 by Pamela Anderson. - Jim Stone’s WikiLeaks timeline: Oct 23, 2016 — WikiLeaks director Gavey Macfadyen dead; Apr 16, 2016 — WikiLeaks lawyer John Jones dead ('jumped in front of train'); May 11, 2016 — WikiLeaks Chief Counsel Michael Ratner dead; Oct 16, 2016 — Anderson brings Assange 'lunch,' claims he was not feeling well after eating it, and on Oct 17 Assange had his 'Internet cut'; they also faked a Wikileaks 'data dump' that had no really important disclosures in it. - Fukushima was 'terrorist attack and very serious international incident, grossly underreported in world’s press, that will be major subject of upcoming war crimes tribunals. - interesting thing about all these staged events is how they are now being immediately debunked. - despite efforts to distract from their crimes, dragnet is closing in on Khazarian mafia, especially base of operations in Israel. - Trump tweeted ‘We will never forget’ with what Pelosi called ‘painful images of 9/11’ in reply to Omar saying ‘some people did something’ on 9/11, as this now becomes politically correct national conversation prior to truth bombs taking down Israel. - Gen. Abizaid confirmed 92-7 as US Ambassador to Saudi Arabia, making him de facto military governor of Middle East. - Egyptian President el-Sisi told Trump at White House that Egypt won’t be part of Arab NATO, making Iran undisputed leader in region. - regime changes about to take place in Libya, Sudan and Algeria all connected to this resurgence of Middle Eastern and Muslim unity. - Netanyahu will face historical justice by having satanic Zionist project collapse under his watch. - Khazarian mafia does use predictive programming, like TV programs about jetliners crashing into WTC before staging actual event. - when Fulford was working for Forbes Magazine, a novel was published in which Tokyo Bureau Chief of Forbes was killed with weapon that causes heart attacks; later Fulford was attacked by individual carrying white cylindrical device fitting description of heart attack weapon described in novel. Minister Gabriel shared a post. Mother Mary asked that I share this reassurance tonight, from her sacred heart to ours. There is no-thing and no-one that can burn down the Holy Mother within us all. Today, humanity was both consciously and subtly impacted as Our Lady Notre Dame was set ablaze. The Peace that Passeth ALL Understanding Lives Within Us All. And we can access Her and embody Her — this Peace-in-Action, this Divine Will, and this Invincible Love that transcends all agendas that would cause us to fear and doubt the truth of our innate divinity. She will reign forever, long beyond these days prophesied by both holy seers and children of countless lineages. We will build a stronger Heaven on Earth with our own two hands. Brick after brick filled with the embodied wisdom from thriving beyond these days. Side-by-side with the angelic orders and Ascended Masters, we must take courage and continue to fulfill our destiny with faith, hope, and brilliance. 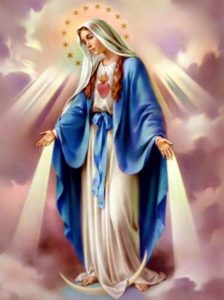 Ave Maria ... We pray with you for the heart of France and the heart of humanity awakening to the Divine Feminine Christ light within, which can never be taken from us. We are this holy light — and a holy fire — that purifies all earthly fires. Mother Mary, you taught us so well. You showed us The Way and you continue to every day. Thank you for guiding us now in all ways. Divine Consciousness by their Holy Breath. For these babies work to receive their food, yet their mothers work as well. They replied: We are humble. Does that mean we can enter into Divine Consciousness? but each, henceforth works TOGETHER, at cause and consciously..
while allowing the Healing Breath to nurture and expand your daily Vision, then you shall enter the Expansive Being of your Eternal Self. 22. Minister Gabriel shared a photo.